Weaving, the ancient art of making cloth, is alive and well! Challenge your creative side and be prepared to surprise yourself by what you can achieve. Immerse yourself in the process of designing and making your own creation. 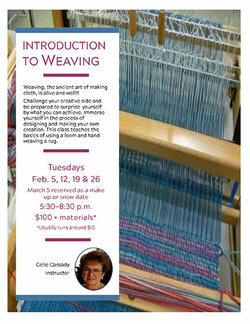 This class teaches the basics of using a loom and hand weaving a rug. Tuesdays, February 5th, 12th, 19th, 26th. March 5th reserved as a make up or snow date. Class time: 5:30 p.m. to 8:30 p.m. $100 plus materials. Instructor: Celie Cassady. 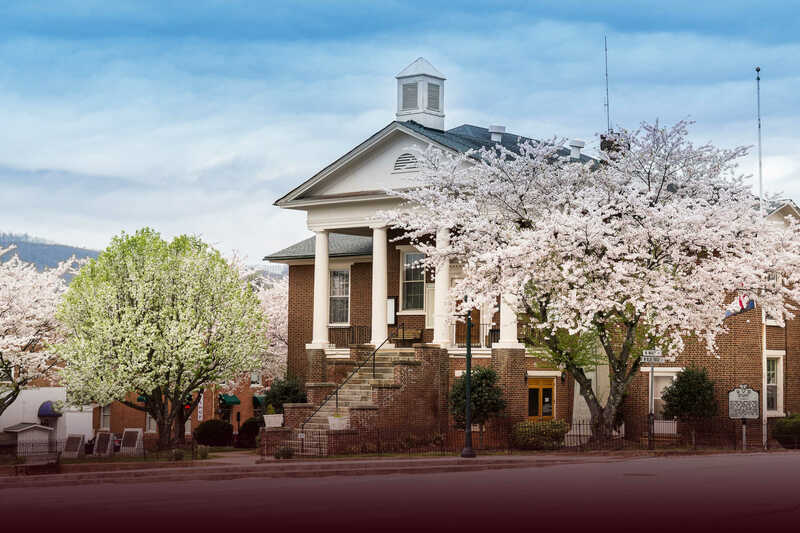 Please contact Reynolds Homestead to register - 276-694-7181.